Abstract: "M.G.M. 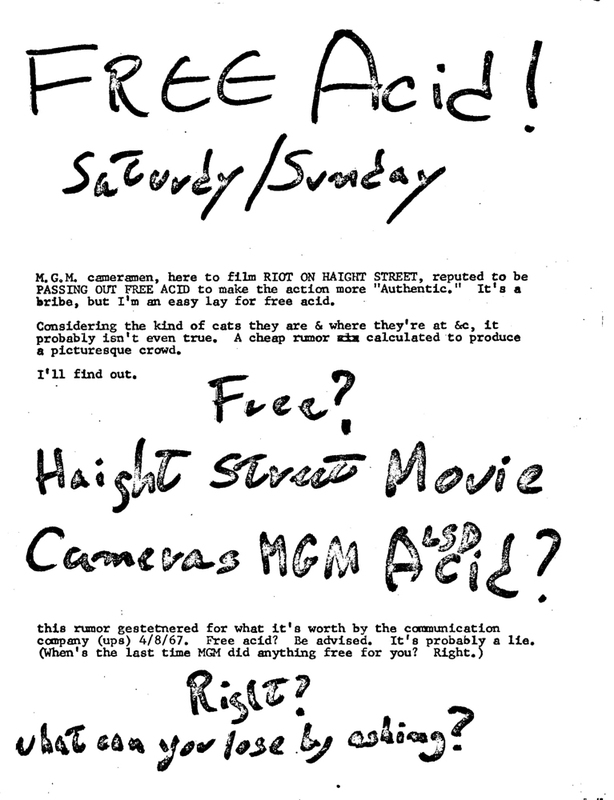 cameramen, here to film RIOT ON HAIGHT STREET, reputed to be PASSING OUT FREE ACID to make the action more 'Authentic.' 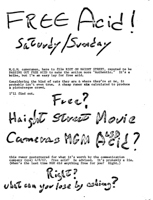 It's a bribe, but I'm an easy lay for free acid." "this rumor gestetnered for what it's worth by the communication company.."